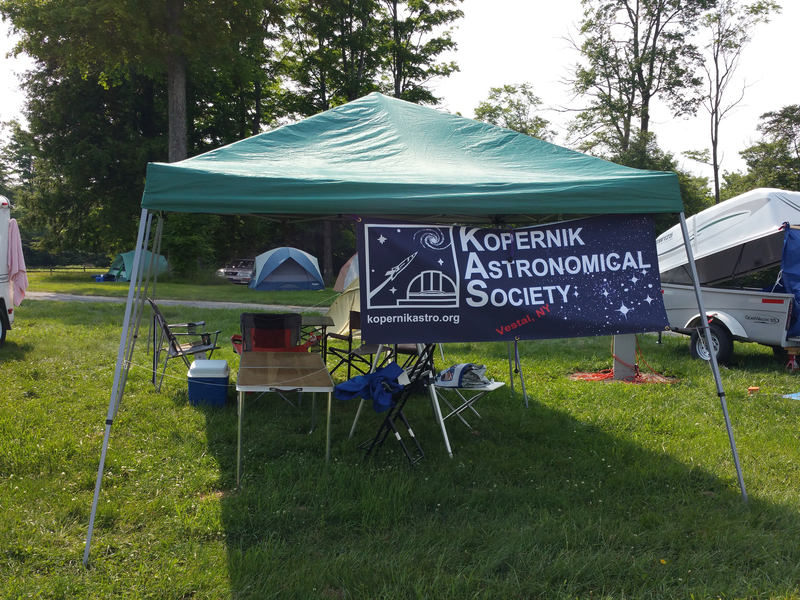 The KAS had a fantastic time at the 2015 Cherry Spring Star Party from June 10th – June 14th. Seven KAS members toughed out some poor weather forecasts and reports, and were treated instead with two fairly decent nights of observing. 16″ New Moon Telescopes Dob. 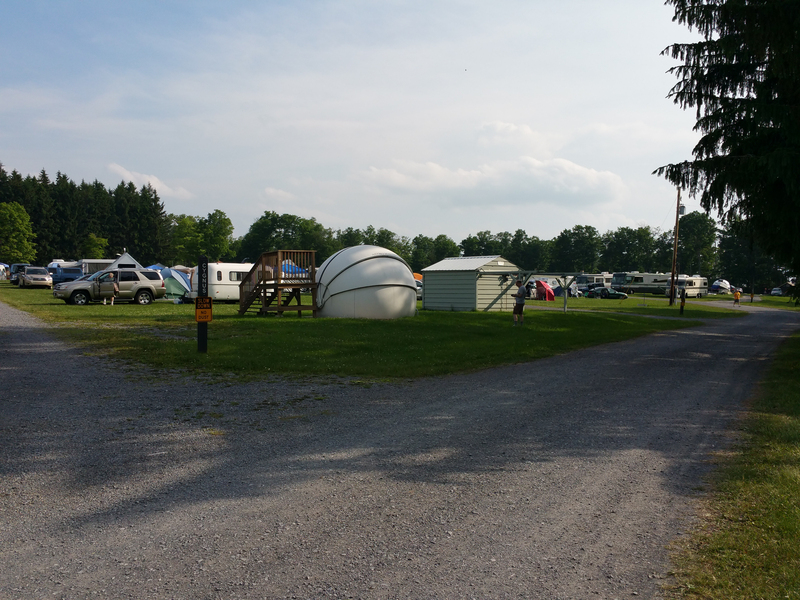 Some KAS members arrived Wednesday night, and those members had three nights of observing under decent conditions. Most KAS members began filing in Thursday morning, and were greeted with mostly clear skies on Thursday night. Friday was an all around interesting day with respect to weather. 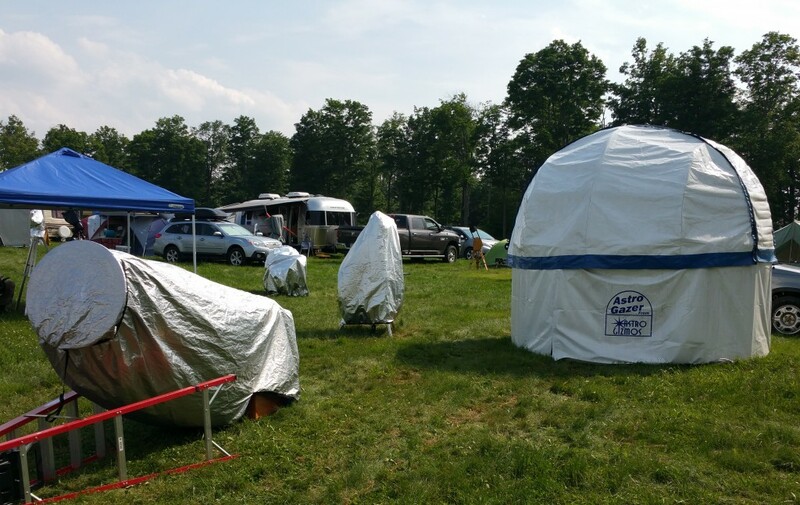 In the evening, high winds spun up havoc on the observing field including some KAS Canopy tents and one member’s camping tent. Heavy rains drenched everything. However, the KAS base camp was put back together in no time, and the group pitched in to help the member with the beaten up tent. Most of the group was out to dinner when the storm hit, and no one was injured. However everyone was treated to a bright, complete and beautiful double rainbow spanning from one end of the field to the other for about 15 – 20 minutes. 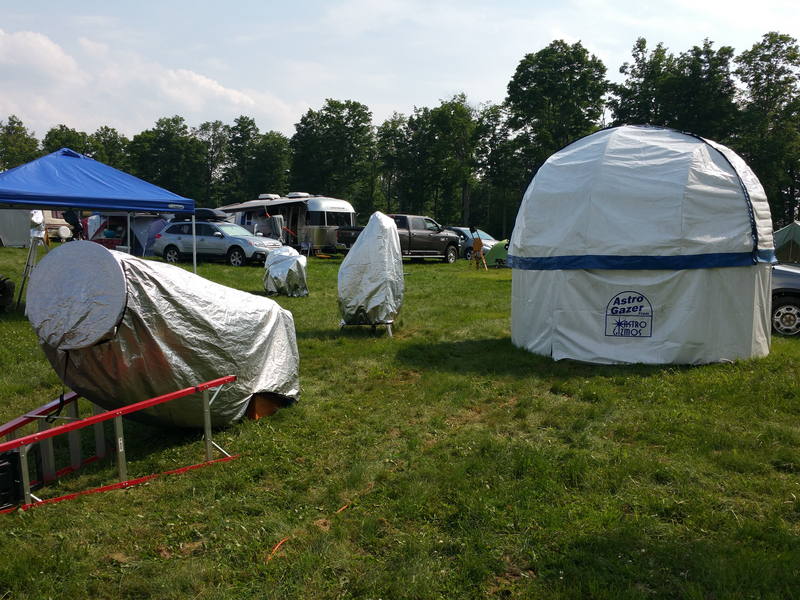 During the days on Friday and Saturday, KAS Members attended great lectures, visited with old friends, interacted with and purchased products from astronomy equipment vendors and relaxed. Saturday night provided a fantastic night of observing, lasting until about 3 AM when a cloud blanket of fog rolled in. It was some of the best observing conditions, and members were able to push a lot of power on objects like Saturn, Jupiter, star clusters, planetary nebulas, etc. With the seeing stable like this, the group was treated to the best visual observations of Saturn. Observations of seeing all of the markings on Saturn’s atmosphere, seeing the divided ring detail, and even striations in the rings caused by the gravity of passing moons. The entire night was fantastic observing as many as 30-40 objects that night. Saturday night was also the night that there were public observers from the surrounding area allowed on the field. As is tradition the KAS hosts public observer outreach as part of our mission. We had about 35 or so public observers come through and look through our telescopes on Saturday night, and they were wowed with the things they saw. It’s always great to get people looking through the telescope. Now for the raffles, 5 of the 7 KAS members won prizes in the CSSP raffle. This was the largest raffle CSSP has had with nearly 105 prizes raffled off. All KAS members made their money back in the raffle and then some. This was truly a great event, and all of the people who went were glad they attended.. 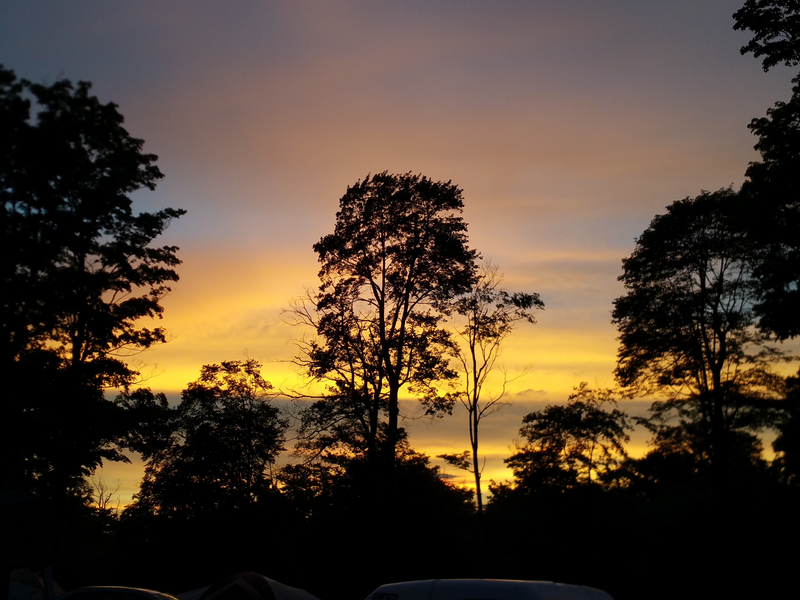 This entry was posted in Events and tagged cssp, star party. Bookmark the permalink.